We’re officially in the holiday season Sewing Report Squad! 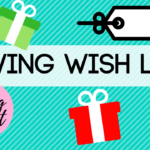 What’s on your sewing wish list this year? Also – what gifts are you excited to give to others? Whether it’s handmade or store bought – giving gifts is always fun!